While we may now know less about what the fox says than we did before the autumn months of last year, the fridge has been saying quite a lot ever since it found its place within the home kitchen in the first quarter of the twentieth century. Electric and gas refrigerators became available for domestic use in the United States following World War I, but were at first a luxury item owned by only upper class Americans. Refrigerator ownership was truly scant; in 1923, for example, it’s estimated that only 20,000 households in the United States owned a mechanical refrigerator. As late as 1927, 60 percent of households had no form of refrigeration at all, mechanical or ice-based. This was largely a result of refrigerator cost, which throughout the 1920s would have totaled close to $3,500 today. The exclusivity of refrigerator ownership is evident in period advertising. Take for example Frigidaire Frozen Delights: Frozen Desserts and Salads Made in Frigidaire (1927)—a resource developed by Jessie M. DeBoth of the DeBoth Home Makers’ Schools of Chicago, Illinois. While some messaging focuses on the more middle class concerns of practicality, reliability, and food safety, this guide also promotes more affluent topics, as it demonstrates the high style entertaining made possible by this chilly appliance. 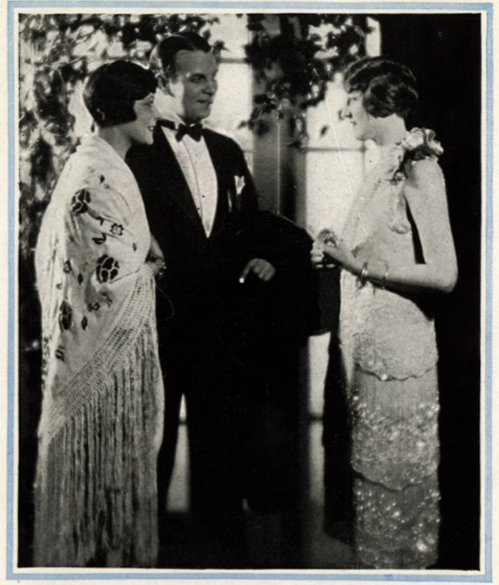 On one page, sandwiched between pages of recipes, the pamphlet features a woman in sparkling eveningwear, welcoming a well-dressed couple into her home. 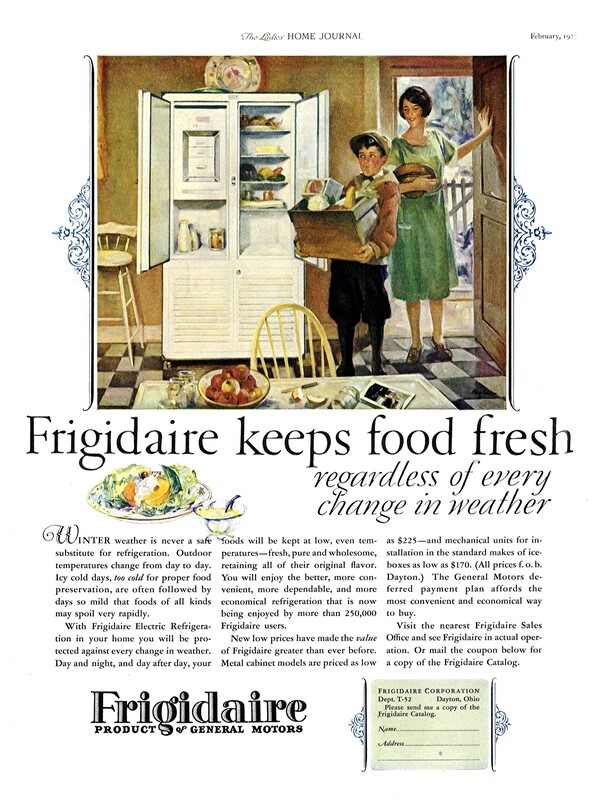 As a result of technological advances, standardization, mass production, and market competition, refrigerator cost declined in the late 1920s and 1930s, and manufacturers began to target the middle class in an effort to increase sales beyond the small market segment of wealthy households. An audience more likely to be focused on the practical concerns of food safety than elegant frozen desserts, advertisements of the time reflect this perspective, casting the refrigerator in a less glittery role. Prior to home refrigerators, housewives preserved food in a variety of ways. This 1927 ad works to re-educate housewives, promoting the regulated temps of technology as superior to nature. Kelvinator Originals advertisement from the 1960s; which one is your style? Are those wall-to-wall cupboards? No! It’s a fridge—and a truly massive one at that. …the leading trend in today’s kitchen continues to be the stainless steel fridge, proudly put on display. 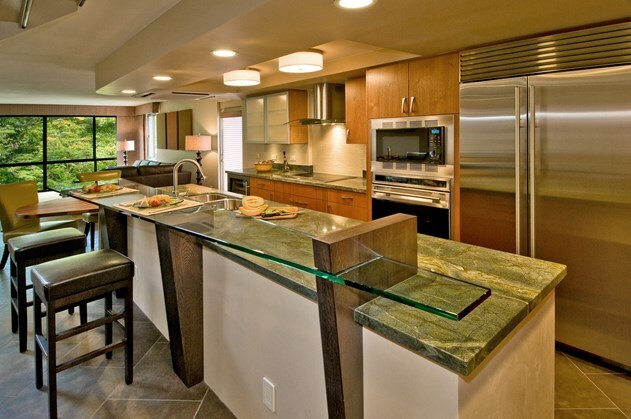 A stylish kitchen featured on the Sub-Zero and Wolf website. 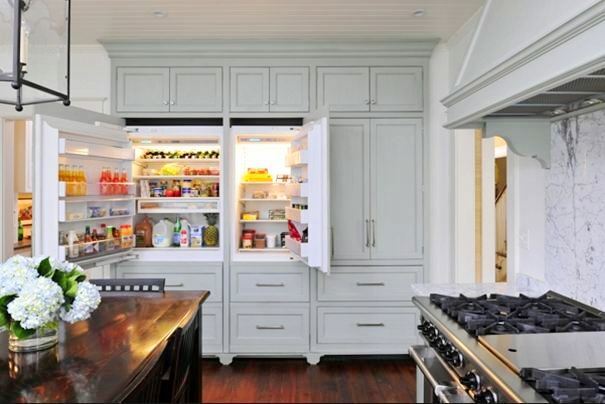 In luxury homes across the nation, high-end refrigerators continue to serve as significant status symbols, as well as intriguing economic indicators. In a New York Times article this week on the erosion of the middle class, G.E. shares how sales of their Café line of refrigerators—which boast features like hot water dispensers to the tune of a $1,700 to $3,000 price tag—outpace mass-market fridge sales. Whether a reflection of one’s style and taste, a status symbol, or an appliance simply beloved for its frigid capabilities, the fridge certainly has something to say. Cowan, Ruth Schwartz. “Chapter 15: How the Refrigerator Got Its Hum,” in The Social Shaping of Technology,” eds. Donald MacKenzie and Judy Majcman (Philadelphia: Open University Press, 1985), 202-218. Isenstadt, Sandy. 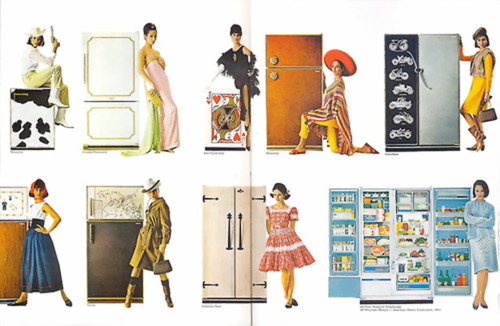 “Visions of Plenty: Refrigerators in America around 1950.” Journal of Design History 11, 4 (1998): 311-321. Nickles, Shelley. “’Preserving Women’: Refrigerator Design as Social Process in the 1930s.” Technology and Culture 43, 4 (2002): 693-727. Young, William H. and Nancy K. Young. American Popular Culture Through History: The 1930s. Westport: Greenwood Publishing Group, 2002.